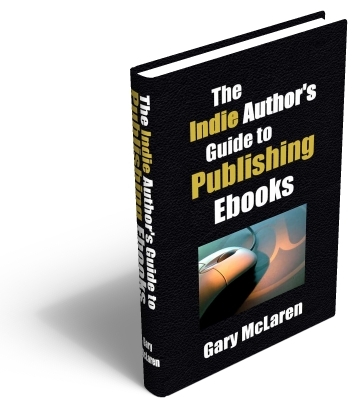 Would you like to learn how to publish an ebook for the Kindle, Nook, iPad and other ebook readers? The ebook industry is experiencing extraordinary growth and is buzzing with activity. Almost every week it seems a new ebook reader or tablet is launching. And ebook sales are going through the roof! Only a few years ago people were saying that ebooks would come and go. Many people believed they were a short-term fad that would never replace books. Now with ebook sales overtaking print books it is becoming clear that ebooks are not only here to stay but are the main format for reading as we move into the future. Only a couple of decades ago there wasn’t much point to having electronic books because very few people owned a computer. How times have changed. These days it’s unusual for people not to own several devices capable of reading electronic documents... including computers, laptops, portable e-readers and smartphones. • A study by eMarketer found that ebook reader usage quadrupled from 2009 to 2011. • In April 2011 Association of American Publishers reported that ebook sales have overtaken sales of print books for the publishers they track. • In August 2012 Amazon reported that ebook sales have now also overtaken print books in their UK store. • Many other countries are still 'catching up'... reinforcing how much room there still is for further growth! Until a few years ago the best way to publish an ebook was to get your manuscript into PDF format and start selling it from your own web site. You can still do that today however if you want to be taken seriously as an independent author then you should also make your ebooks available at the major ebook stores that have emerged in recent years such as Amazon's Kindle Store and Barnes & Noble's Nook Books. Now an author can take a finished manuscript and self-publish it to the major ebook stores within a few days. This makes it easy for fans to find your ebooks and download these to their Kindles, Nooks, iPads, smartphones and other e-readers. A large number of authors are now bypassing agents and publishers and "doing it themselves". These independent authors are earning a greater share of the revenue from their sales than ever before! In this new guide I explain how you can publish your books to the major stores, including instructions on how to convert your own ebooks, starting from Microsoft Word format, into each of the main ebook formats... using software which you can download for free. • An Introduction to Ebooks, the different Ebook Formats and the most popular Ebook Readers. • Self-Publishing: Why Do It and What Is Required? • Step-by-Step Instructions for Converting Your Own Manuscripts into each of the Major Ebook Formats, including MOBI (for Kindle) and EPUB. • How to Get Your Ebooks into Amazon Kindle Store, Barnes & Noble, Apple iBookstore, Smashwords, and other major bookstores. • How to sell your ebooks from your own web site. • Advice on Copyright, ISBNs, Digital Rights Management, Ebook Covers, Editing, Building an Author Platform and much more!